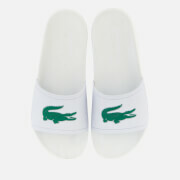 Lacoste ‘Croco Slide’ sandals with a contrasting crocodile logo across the strap. 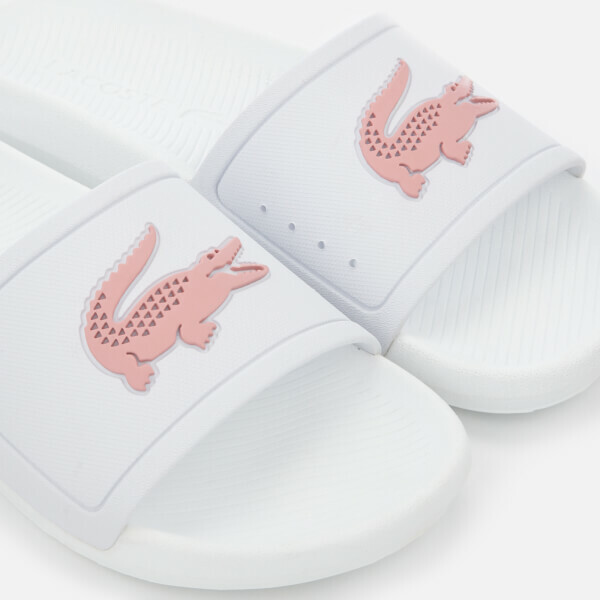 The slides are detailed with a moulded footbed for increased comfort and a water-repellent rubber strap making them perfect for pool or shower use. 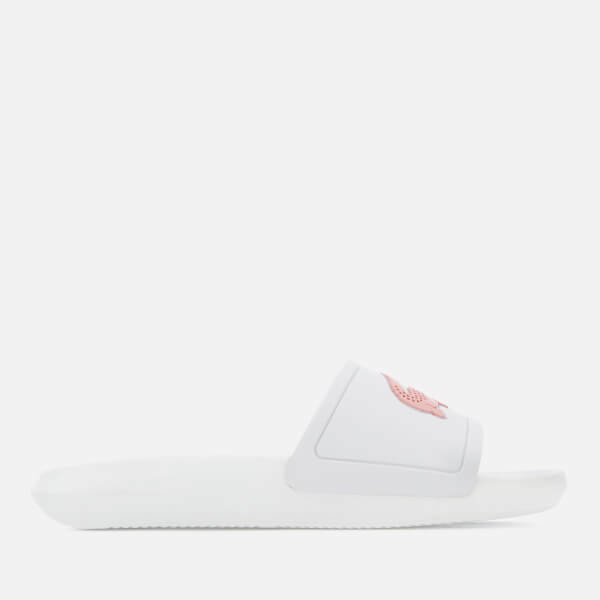 A textured outsole inspired by tennis court lines completes the design. Upper: Rubber. Lining: Synthetic. 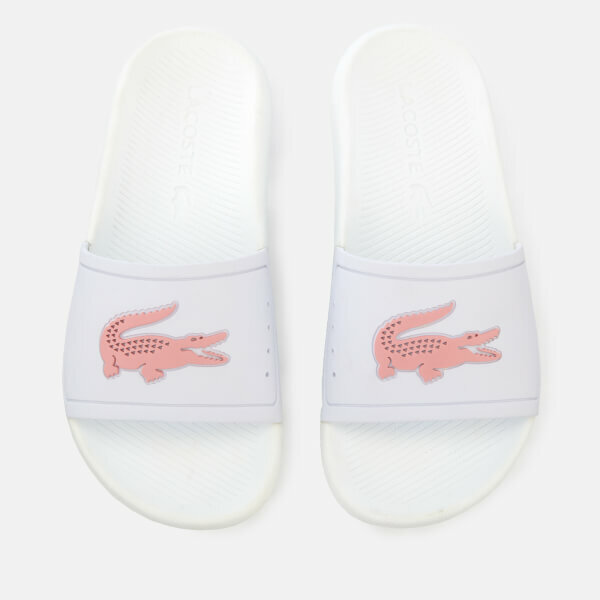 Sole: PU.